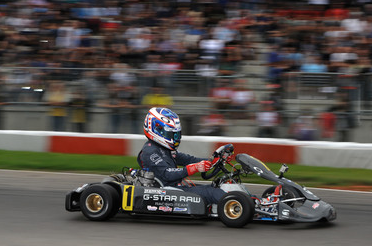 The International Court of Appeal (ICA) has given its decision within the framework of the appeal lodged by the Entrant Chiesa Corse further to the exclusion of Nyck de Vries pronounced by the Panel of Stewards in Race 2 of the Belgian round of the CIK-FIA World Karting Championship held on 3rd September 2011. The four Judges of the ICA have confirmed the disputed decision as the ICA has declared that Nyck de Vries was responsible for the incident (collision against Flavio Camponeschi’s kart), but it has cancelled the sanction of exclusion inflicted upon the Driver de Vries and replaced it by a 10-second time penalty for the Race considered. For the decision of the International Court of Appeal, click here.